For over 32 years, Art Sobczak, President of Business By Phone Inc., has specialized in one area only: authoring, designing and delivering content-rich training programs and resources that business-to-business salespeople--both inside and outside-- begin showing results from the very next time they get on the phone. Audiences, customers, and readers love his “down-to-earth,” entertaining style, and low-pressure, easy-to-use, customer oriented ideas and techniques. In 2012 Art received the Lifetime Achievement Award from the American Association of Inside Sales Professionals for his contribution to the profession. In 2015, once again he was named one of the Top 50 Sales and Marketing Influencers, by Top Sales World. Using the phone in sales is only difficult for people who use outdated, salesy, manipulative tactics, or for those who aren’t quite sure what to do, or aren’t confident in their abilities. Art’s audiences always comment how he simplifies the telesales process, making it easily adaptable for anyone with the right attitude. For over 30 years Art has written and published the how-to tips newsletter, TELEPHONE PROSPECTING AND SELLING REPORT, and over 14 years, his weekly email tips newsletter. Art is a prolific producer of learning resources on selling by phone. His newest book, "Smart Calling™- How to Take the Fear, Failure, and Rejection Out of Cold Calling," hit Number One in the Sales and Marketing category on amazon.com on its very first day of release, and was named Top Sales Book of 2010 by Top Sales Awards. The Second Edition was released in 2013. He authored the audio training program, “Ringing Up Sales,” published by Dartnell. 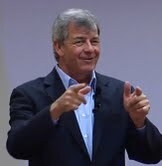 He wrote the books, “How to Sell More, In Less Time, With No Rejection, Using Common Sense Telephone Techniques--Volumes 1&2,” “Telephone Tips That SELL!--501 How-to Ideas and Affirmations to Help You Get More Business By Phone,” and "How to Place the Successful Sales and Prospecting Call." He has numerous audio and video programs. Art’s how-to ideas and tips appear regularly in the print and electronic media. He had written a regular column for “Teleprofessional” magazine for 10 years, also wrote one for “Selling!” newsletter, and is frequently quoted in “Selling Power,” “Bottom Line Business,” “Sales and Marketing Management,” and numerous print and online publications. In fact, online searches for his name typically pull up over 200,000 listings, many from others who have quoted him and his articles. He holds the popular Smart Calling College two-day public training seminars nationwide, and also customizes the program for on-site, in-house delivery. Art also delivers how-to programs on effective inside sales and cold calling ranging from one-hour to several days. He has produced and delivered over 1500 training sessions over the past 29 years for companies and associations in virtually all business-to-business industries. His speaking and training reputation has been built as someone who knows what works and what doesn’t in telesales because he’s done it (corporate telesales and management positions with AT&T Long Lines and American Express in the early 80's), and still does it. He also conducts extensive research to customize his programs, listening to recordings of actual sales calls of client reps in order to learn the language of the industry, company, and strengths and weaknesses of sales reps and strategies. Contact Art by email at ArtS@BusinessByPhone.com, or call him at 800-326-7721, or (480)699-0958. Or fill out the form here to have Art contact you about customized training for your organization.